I had my 4th heart catheterization on the 15th. Of April. As they wheeled me down the hall to the Cath. Lab my thoughts were not on the procedure about to take place, but our Jordan Health Center in Dono-Manga, Chad. I don’t mean to sound flippant about the heart cath. It’s always critical and risky when someone goes poking around your heart. 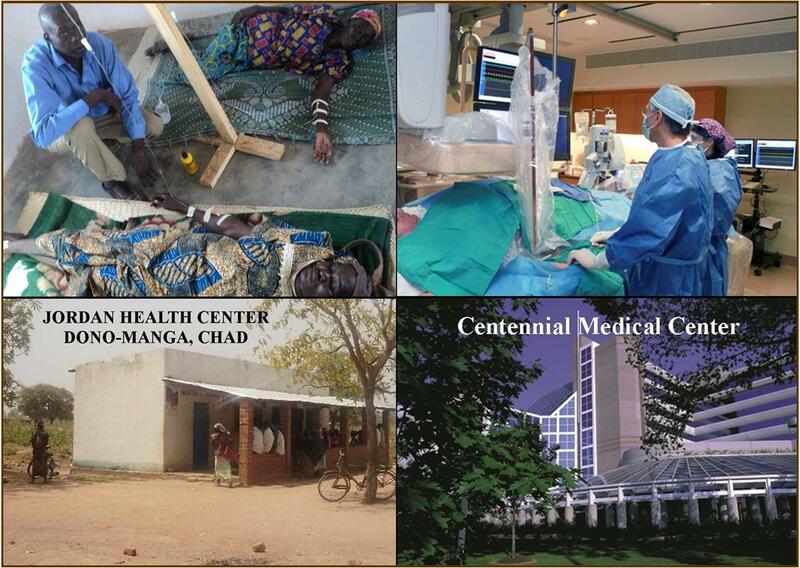 My thoughts were about the quality of care available to me as compared to that in developing nations like Chad. In reality there is no comparison. I am thankful for hospitals like Centennial and their professional personnel. I am also so thankful for the Jordan Health Center. 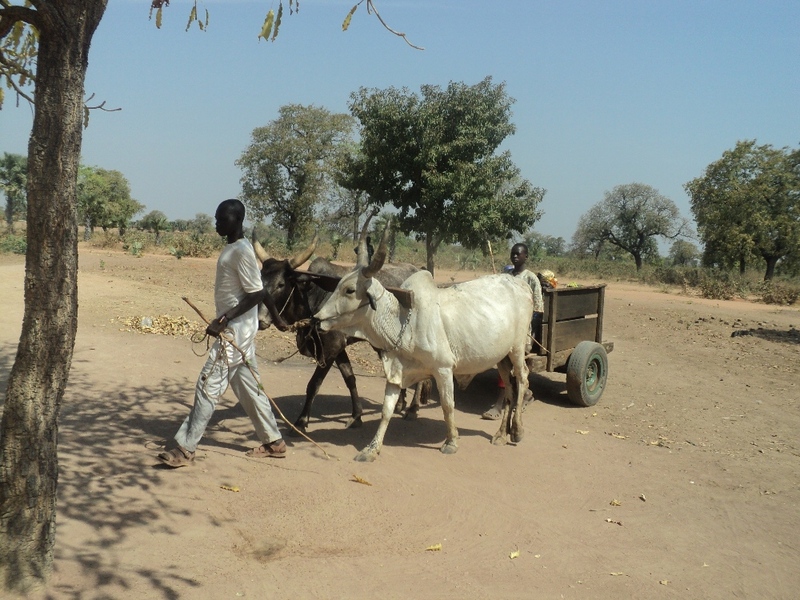 35 Year Old Moguira from Kanyoura Village a distance of 21km brought by seven relation in an Ox Cart for treatment. 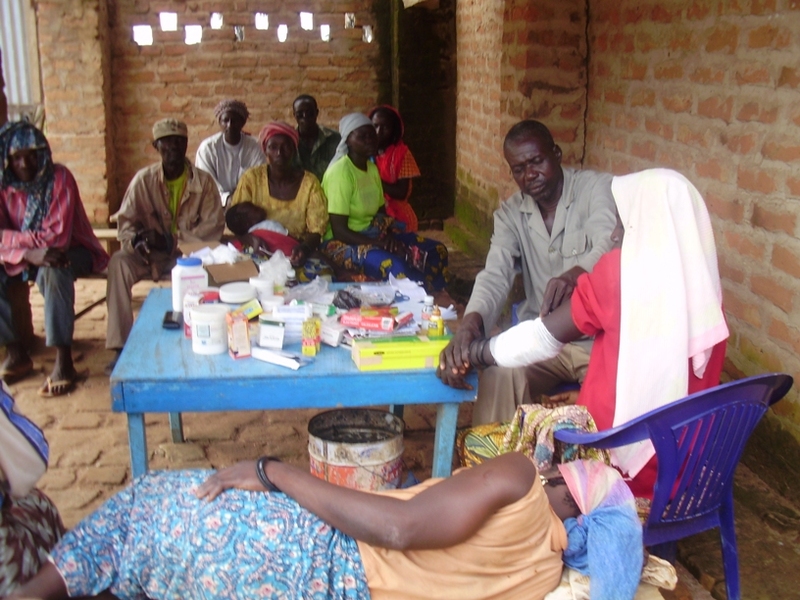 This small health center was built a little over two years ago. It’s a small building not much larger than a one car garage. It’s nothing in comparison to the state of the art facility I was in for my procedure. But from the time JHC opened its doors until now thousands of men, women and children that have come for treatment, and there is no way to know how many hundreds of lives have been saved. People come from miles around for treatment. Some walk, others are brought in Ox carts. 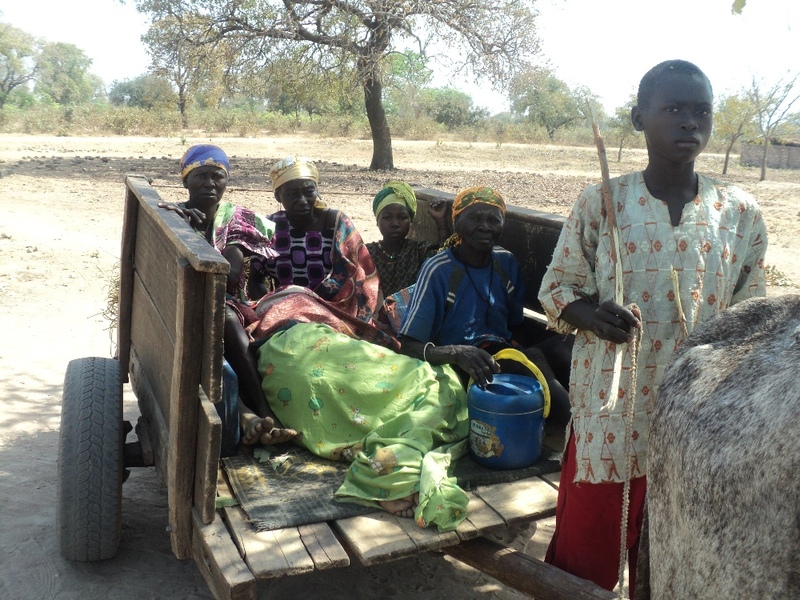 One man, near death, was carried by his family on a homemade stretcher from their village 20 miles away. In February of this year we began construction on a 1600 sq. ft. addition to the Jordan Health Center. This expansion is so desperately needed to handle the ever increasing flow of patients. The new facility will contain an office, an exam room and two wards with 4 beds each. What a blessing this addition will be. People will no longer have to lie on the floor during treatment. Consultation and treatment areas will be a clean, sanitary and private. In February when we began construction it was a step of faith. The foundation is now complete and the walls are up. We need an additional $11,000 to complete the building, $7,000 to complete construction and 4,000.00 for interior work and furnishings. Total construction cost will be under $20,000. That is a bargain at less than $12 a sq. 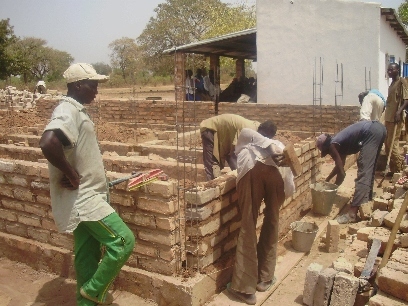 ft.
It’s urgent that we finish this project before the rainy season. Heavy, unrelenting rains begin in early June. They peak in August and begin to taper off by the end of September. 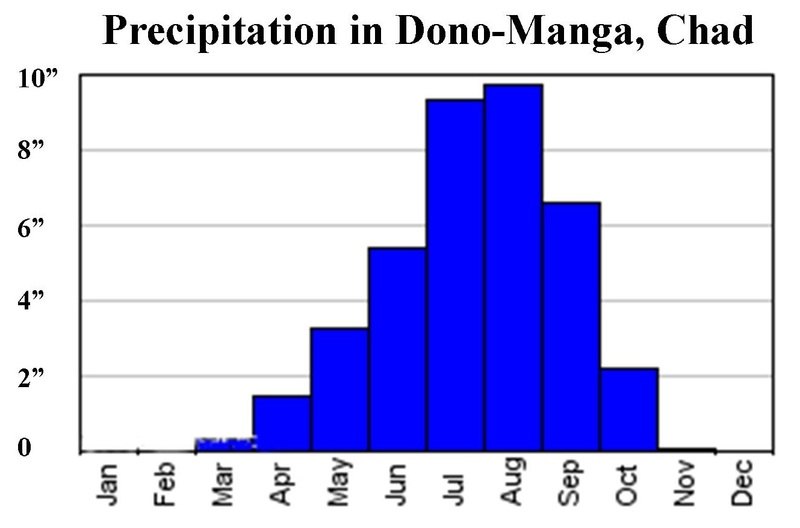 There are heavy rains most every day during the peak period. Without a roof and exterior stucco to protect the walls the rain could cause significant damage to what has been accomplished so far. Will you make a sacrificial donation to help us finish this critically needed addition? Beyond a shadow of a doubt, your gift will save lives! Donating is simple. Go to our website and click on the Donate Button at the home page. Debit and Credit Cards are welcomed. Categories: Chad, Donkey Cart, Dono-Manga, Jordan Health Center | Tags: Chad, Dono-Manga, Jordan Health Center | Permalink.